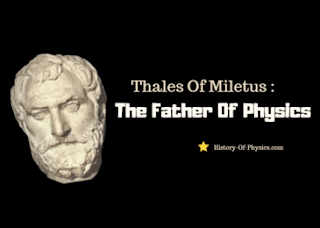 Who was Thales Of Miletus? We begin our journey with the Ancient Greeks who were the fathers of physics. A city called Miletus was home to several Greek philosophers who made significant contributions to physics. One such philosopher by the name of Thales was the first and is widely considered the most important of them all. Thales lived in Miletus or what is now modern-day Turkey from 624 BCE to 546 BCE. In Ancient Greece, he was part of the highly esteemed Seven Sages of Greece. These were basically legendary philosophers that the Greeks considered crucial in developing their way of thinking. Thales is also considered the first pre-Socratic philosopher. The pre-Socratics are famous for searching for explanations for the unknown phenomenons of nature based on natural predictable laws. During their time they were referred to in the Greek language as "physiologoi" or (natural philosophers). Thales rejected the popular notion during his time that mythological gods were behind the unknown phenomenons. As a result, he is credited for the "discovery of nature". For example, the commonly accepted explanation of earthquakes was simply the result of Poseidon getting upset. Thales instead theorized that earthquakes were being caused by disruptions in the waters of the sea. As a matter of fact, he is famous for theorizing water was behind basically everything. He believed that everything was made up of water. This idea came to him by observing how water flowed from streams and then into rivers and then into the oceans. 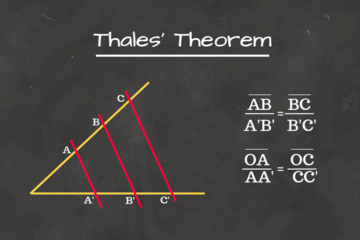 Somehow Thales got the idea all things most follow a similar pattern. Now his philosophy would seem a little strange to modern educated minds. However, at the time it was a very clever way of looking at things. In fact, it was his way of thinking which really made him special. So much so he is considered by many as the "father of science". Do you remember Thales’ Theorem in geometry class? Yep, you guessed it that was him. He was responsible for many advancements in geometry. Usually, the letter G in physics stands for the gravitational constant. The term was originally presented in Newton's idea of how gravity works universally. Gravitational Constant is also known as Newton's Constant or universal gravitational constant. Either way, you want to say it is a physical constant involved in the calculation of gravitational effects. G was measured by Cavendish to have the value of 6.673*10^(-11) Newtons of meters^2/kilogram^2. Which is not only used in Newton’s law of gravitation but and also in Einstein 's theory of relativity as well. G is also used in the formula F = G*M*m/r^2. Both m and M are masses of two bodies interacting gravitationally. r is the separation of their centers of mass. F is the force of gravitational attraction between them. G can also represent local or global gravitational field. Which represents the force of gravity per unit mass acting on an object. G may also represent free-fall acceleration or acceleration of gravity. G refers to the metric prefix Giga as well. 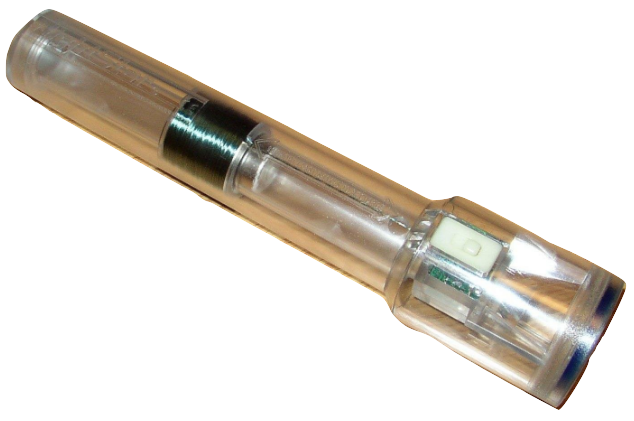 Such as in GHz for GigaHertz. Where Giga represents one billion. How much does an average box of cereal weigh? The weight of the cereal will depend on a couple of factors such as the density of the cereal and the size of the box. Most bands of cereals come in a wide variety of sizes. Much like t-shirt sizes, you can expect sizes ranging from small to large. Unlike clothing sizes, however, you will also see sizes like family and giant as well. That said there is no consistency among cereal manufactures in regards to weight. For example, a family size box from one manufacturer may weigh 21oz and 22oz for another. This is in most part due to the wide-ranging weight of the ingredients used to make the cereal. How many pounds does my Cereal weigh? For this example will be using the family size fo Cheerios one of my favorites. If you are looking for a different band no worries. Almost all cereals provide the same measurements in a similar fashion so this should work for you. Near the bottom left-hand corner of the box of Cheerios, I found it's net weight measurements. This box of cereal weighs 21 ounces. If you translate that to pounds you will get 1.3125 pounds. If you are looking for grams then the 21 ounces becomes 595 grams as stated on the box. How much does the average box of Cereal weigh? There is no clear answer to this question. The list below will give you a quick overlook of the sizes you may find when shopping for cereals. As you can see the sizes are all over the place and this is just a small sample. That said the average size should weigh around 500 grams. This is because that is roughly the weight of a medium size box of cereal.